Comments: When the Sherman Tank was initially created, it was designed around US theory about how medium tanks, and full-track armored vehicles in general, should be utilized on the battlefield. In US doctrine, the medium tank's job was to assist infantry in the assault and provide a base of fire to fight from. 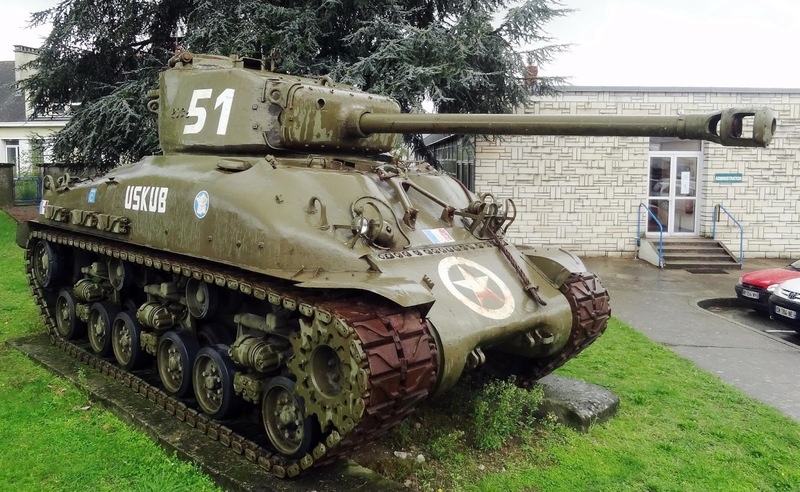 Taking on enemy tanks were the job of purpose-built tank destroyers. 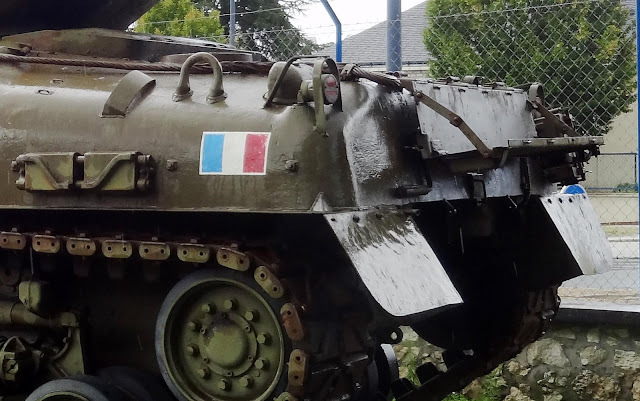 The UK, which was a major user of the Sherman, differed in doctrine - tanks were expected to engage enemy tanks.The wide array of special duties that a tank could be used for were just being explored by armies around the world in the early 1940s. 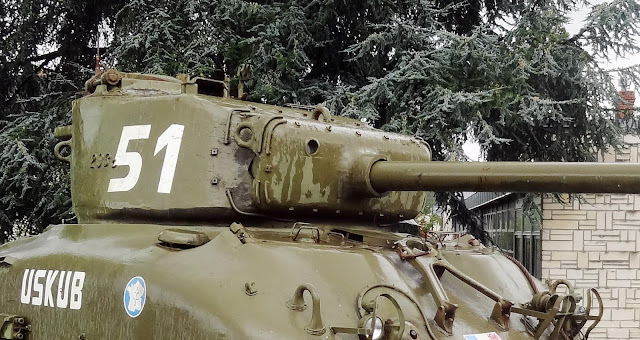 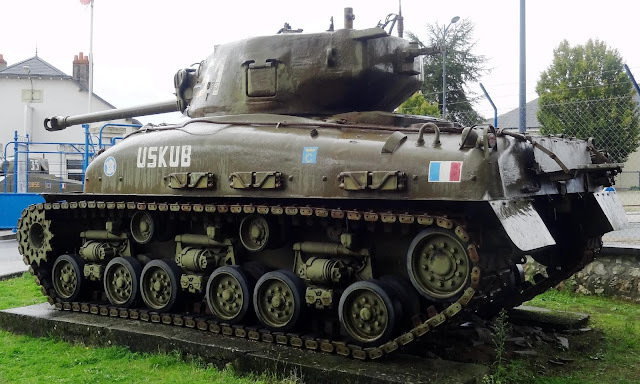 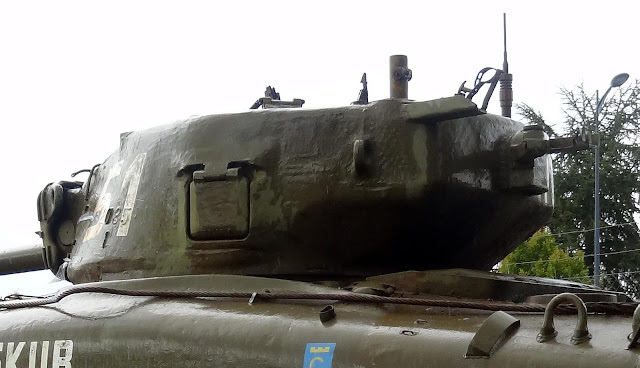 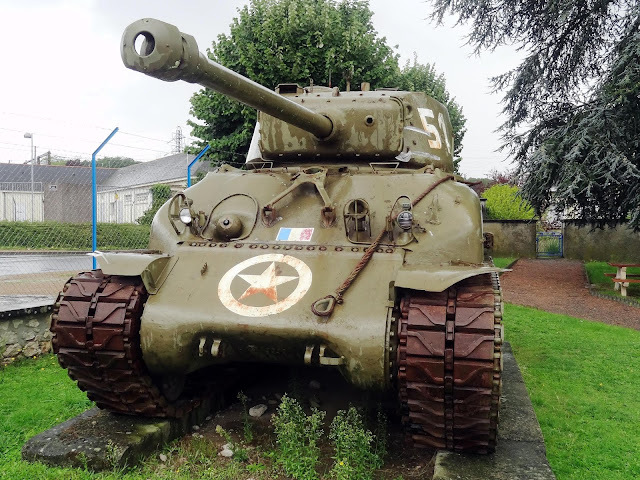 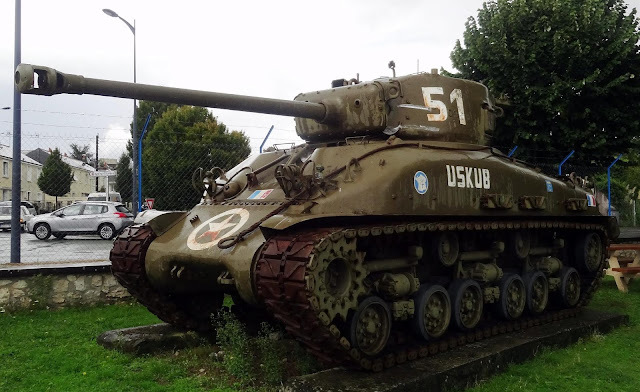 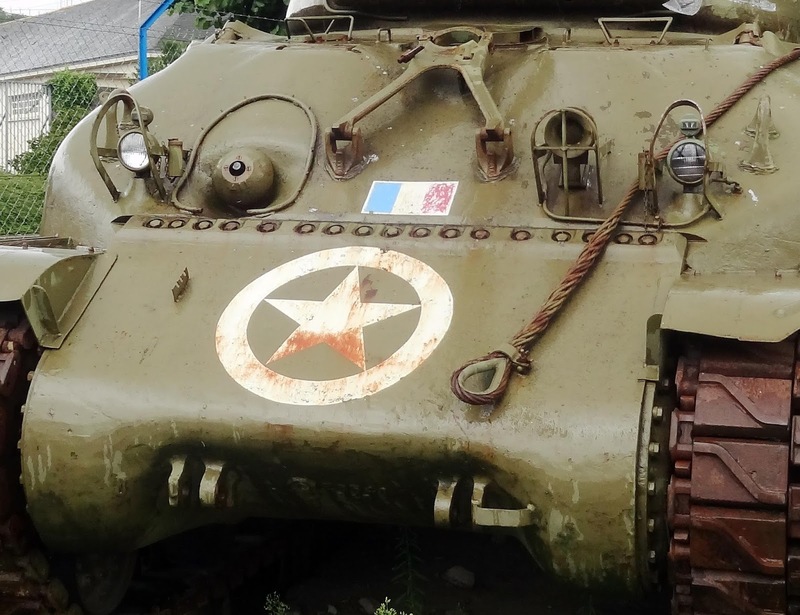 Theories of what vehicles were supposed to be engaging enemy tanks changed as vehicles like the Shermans often found themselves up against enemy armor, and consequently some of the most important initial changes centered around upgunning the basic vehicle. 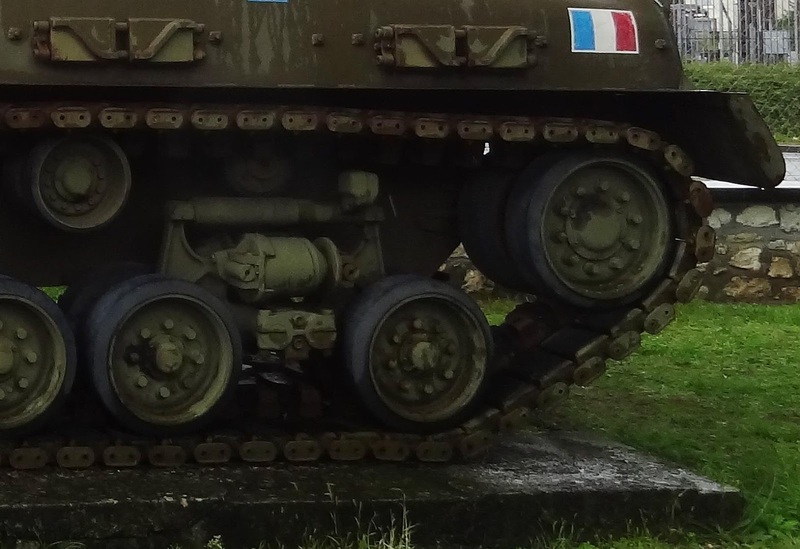 Improving the vehicles mobility, protection, and creating specific variants for infantry support roles soon followed. Similar modification of the main armament would be done by the British who received a number of Shermans during the course of the war. 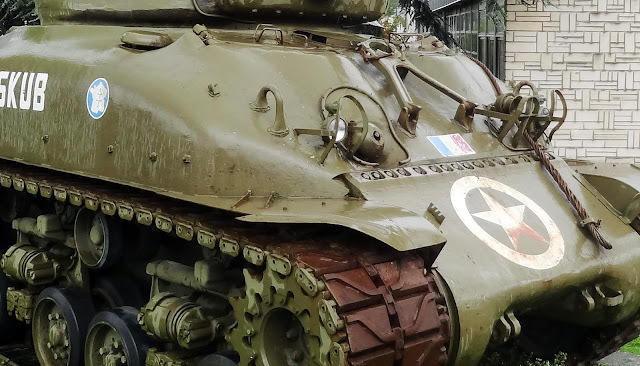 Turning earlier variants of the Sherman into Armored Personnel Carriers or "Kangaroos" was also common, as was turning them into recovery vehicles. 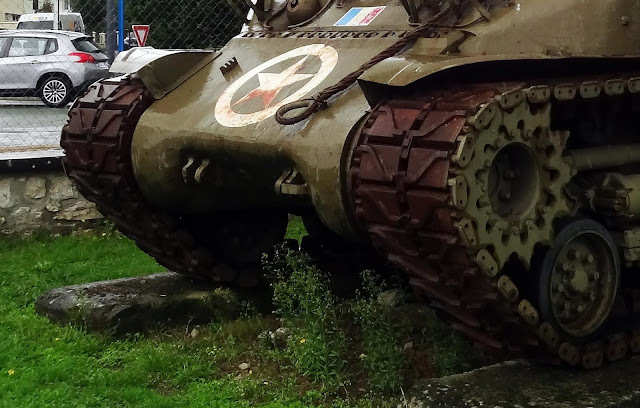 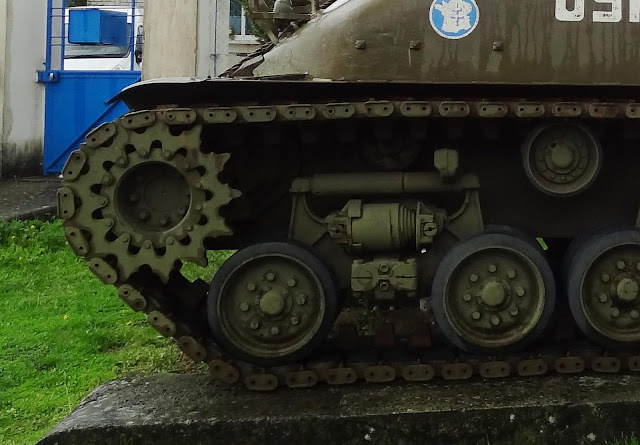 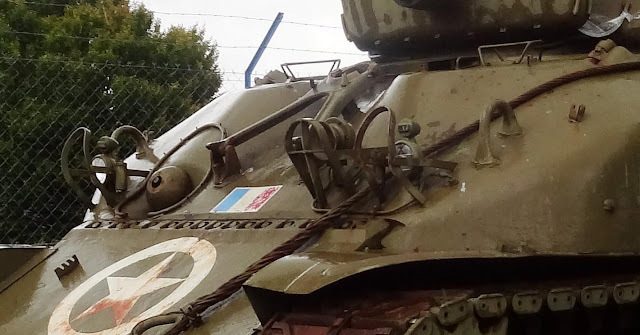 This tank displays the cast hull of a M4A1, but is up gunned with a 76mm cannon and the later suspension, the Horizontal Volute Spring Suspension that offered a more confortable ride o the crew. It was designated M4A1E8 or M4A1(76)W HVSS.